DESCRIPTION: They are 7.1-7.9 in. tall and weigh 1.1-1.3 oz. 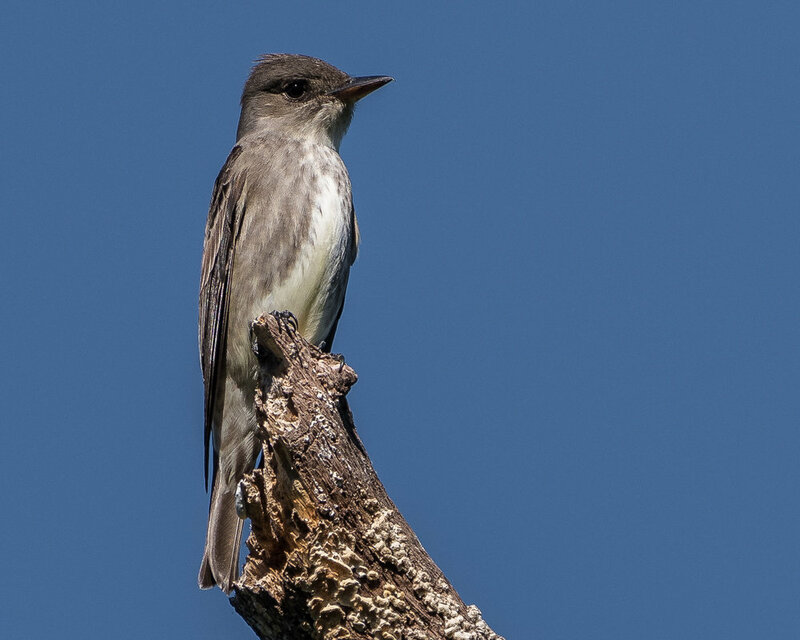 HABITAT: Olive-sided Flycatchers live in coniferous forests and their edges. DIET: Their diet consists of flying insects. NOTES: Olive-sided Flycatchers sing “quick-THREE-BEERS” and their call is “pip-pip-pip.” They are protected on the US Migratory Bird list.